Boston, Massachusetts has great lobsters, and while anyone can have a lobster dinner in a restaurant, "The Adventure Kids" aka Debra C. Argen and Edward F. Nesta opted to get up close and personal by experiencing the Battery Wharf Hotel's "Keep the Catch Lobster Excursion" one of the hotel's unique experiences where we went out on a commercial lobster boat to catch lobsters for our dinner, which Chef Joseph Adamo of Aragosta Bistro + Bar cooked for us. Definitely a thrilling and a very tasty adventure! 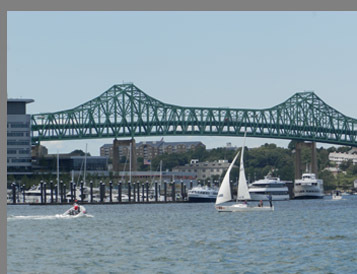 The Battery Wharf Hotel is located directly on Boston Harbor with the enviable position of having a dock beside it. 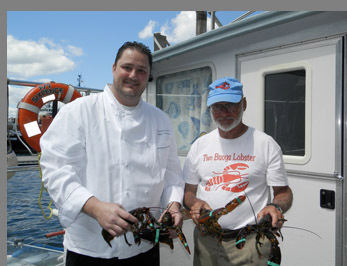 On a beautiful late June 2015 summer day, we boarded the commercial lobster boat the Sixpence, owned and operated by Fred Penney and his son, Wes Penney. During the 2.5-hour "Keep the Catch Lobster Excursion" we had stunning views of Boston Harbor where we admired the scenery and the pretty sailboats as the Penney's boat made its way out to their lobster traps. 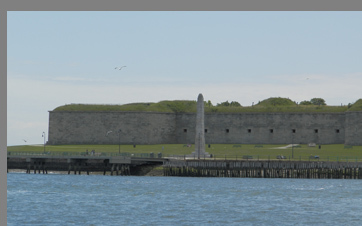 We also had a bit of a history lesson as we rode past Castle Island, which has had a fortification there since 1634, and past Spectacle Island, one of the highest points in Boston Harbor, a 105-acre island whose mass increased as a result of adding soil from Boston's "Big Dig" in 1992. 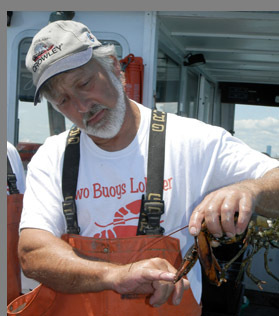 Along the way we learned interesting facts about Boston's famous crustacean, as well as how to haul and remove the catch from the traps, bait the traps, measure lobsters to ensure they were of legal size to keep, and even how to band the claws of lobsters. 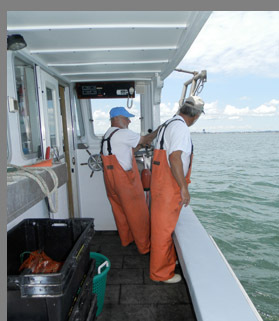 It was very exciting each time Wes and Fred Penney hauled their lobster traps into the boat and checked what they had caught, which felt like finding a pirate's chest and looking to see what riches lay inside. 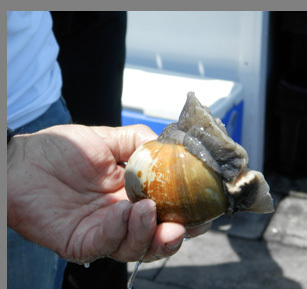 The riches in this case were usually 1-2 lobsters, along with a large edible male Jonah crab which they would keep, (an interesting point is that it is illegal to keep female Jonah crabs), and sometimes a large non-stinging clear jellyfish, seaweed, or perhaps a moon snail or even a hermit crab. When Wes removed a large non-stinging jellyfish by hand from one of the traps, (Debra) ever "The Adventure Kid" had to hold it to see what it felt like before he returned it to the sea. True to its name, the jellyfish looked and felt like partially set clear round gelatin. While that species of jellyfish was non-stinging, it is important to note not to touch jellyfish as a rule as most sting. Male lobsters or female lobsters? Male lobsters have smooth "swimmerets" the little appendages on the underside of the lobster, whereas female lobsters have "hairy" swimmerets so that the eggs will stick to them. 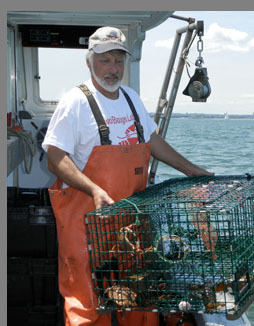 By law, a female lobster carrying eggs may not be kept and must be returned to the sea. 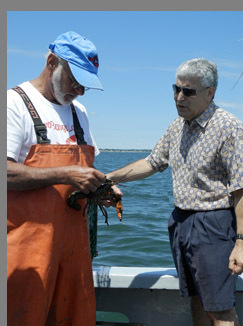 Lobsters can be "right" or "left" clawed. The larger claw called the crusher claw is the dominate claw and hence determines if it is right or left clawed. Lobsters use their crusher claw to crush its prey. 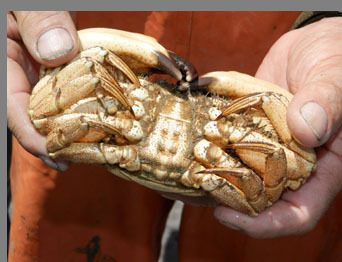 The smaller claw is the pincher claw which the lobster uses to rip off pieces of food and to feed itself. Lobsters teeth are in their stomach. Lobsters smell with their antennae. Lobsters have no central nervous system so they do not feel pain. Lobsters do not have vocal chords. 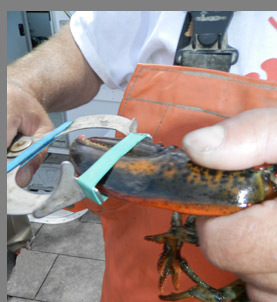 Cull: A lobster with only (1) claw or with a smaller claw. Pistol: A lobster which has lost both claws. Regen: Lobsters have the ability to regenerate new claws if they lose one. A "regen" is a lobster which has a new small claw growing. 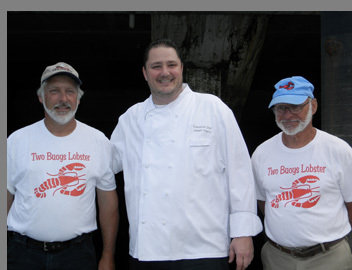 After a fabulous afternoon out on Boston Harbor when we returned to the dock Chef Joseph Adamo of Aragosta Bistro + Bar met the boat and came onboard to personally pick-up our lobsters which he would later cook for our dinner. Boston and lobsters, freshly caught and cooked, and served al fresco at the restaurant's Fire Pits on a perfect summer night; it does not get much better than that! 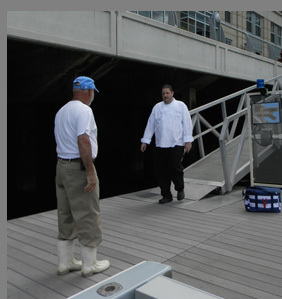 Information on Keep The Catch Lobster Excursion: Leaves from Battery Wharf Hotel every Saturday at 1:00 pm and returns at 3:30 pm. The cost for the excursion is $60 per person. The Lobster Bake for two at their Fire Pits is $45 per person with your catch. The boat accommodates a maximum of 6 guests per excursion. Reservations are required at the time of booking, with 5:00 pm or 7:00 pm dinner reservation options. The excursion is currently available on Saturday's only. 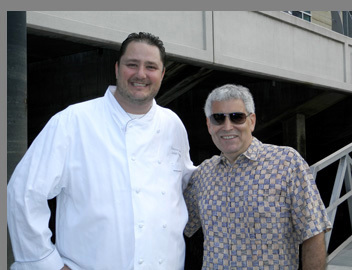 Read the interview with Executive Chef Joseph Adamo who graciously shares a few of his tantalizing recipes including Lobster Papardelle in the Chefs' Recipes section. Read about Aragosta Bistro + Bar in the Restaurants section. Read more about Boston in the Destinations, Hotels and Resorts, Chefs' Recipes, Spas, and Gastronomy sections.